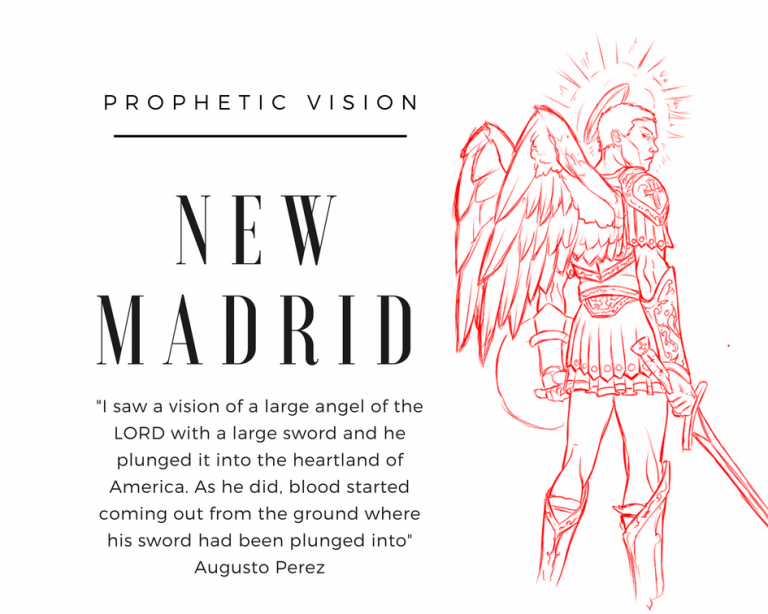 This post is an article that was found on a foreign website which talks about a Prophecy Club video produced by Stan Johnson discussing different prophetic voices who have seen the New Madrid land divide in America. There are two mentions which catch my attention. 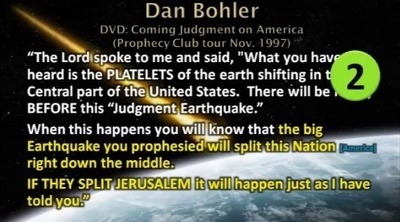 A Warning Quake– In the notes below, Dan Bohler reveals a warning quake before the nation is split down the middle. I vaguely remember other prophetic voices confirming this same thing. I just cannot recall where. 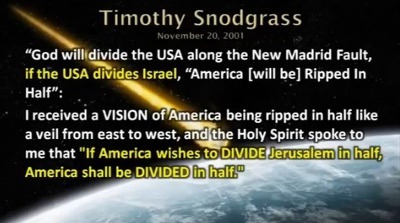 Jerusalem Being Divided, is the center of the land-divide discussions right now. 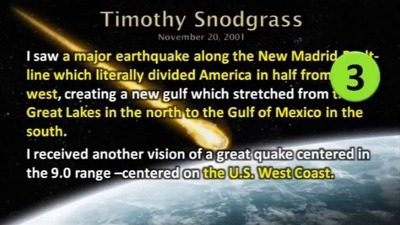 It shows that Timothy Snodgrass heard correctly! This is much more serious than many of us know. 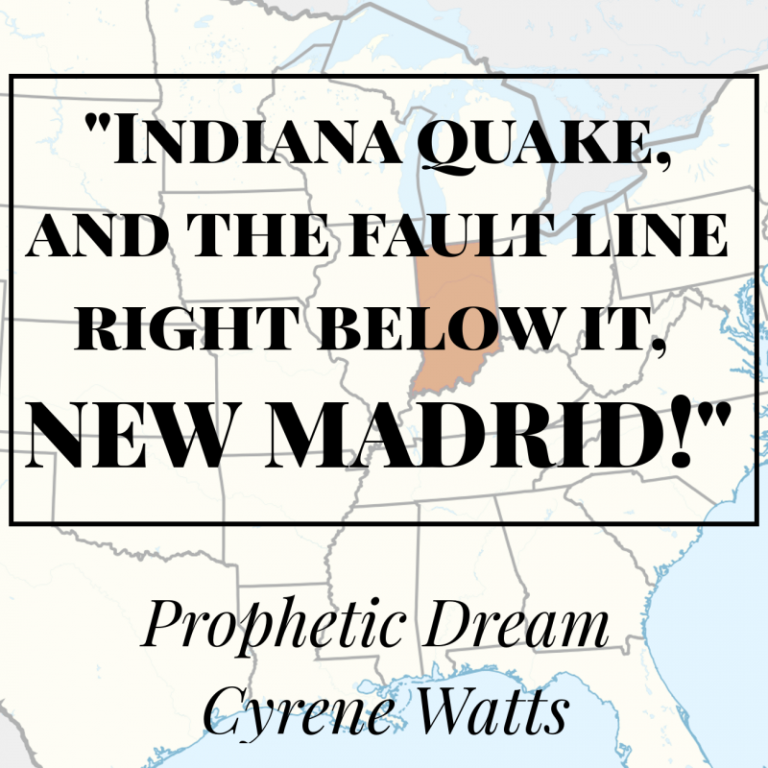 I would love to research these prophetic voices mentioned in the video. 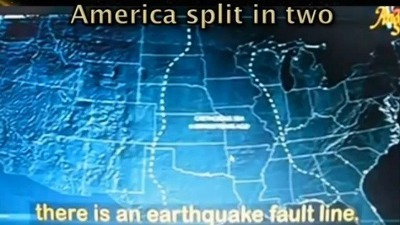 He goes on to say, I saw a major earthquake along the New Madrid Fault Line which literally divided America in half from east to west, creating a new gulf which stretched from the Great Lakes in the North to the Gulf of Mexico in the south. 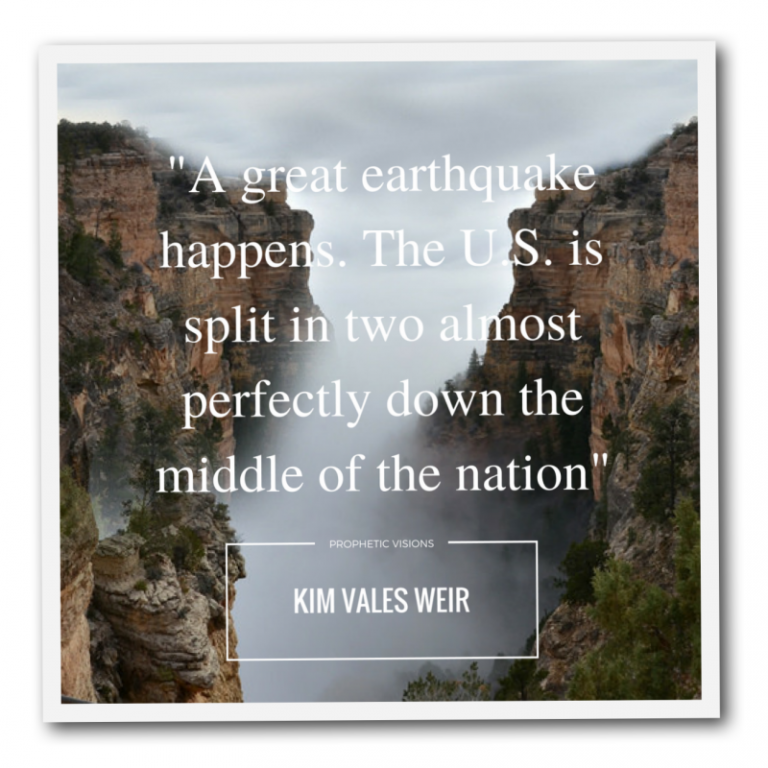 He received another vision of a great earthquake centered in the 9.0 range – centered on the U.S. West Coast. So now we have 3 people that have seen America split in two. 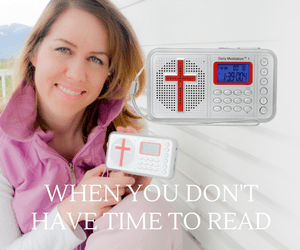 I was sent another Youtube video by one of the congregation members. 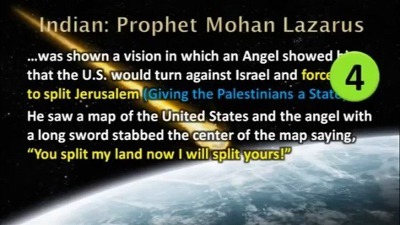 And it shows this guy says, I was shown a vision in which an angel showed me that the United States would turn against Israel and force Israel to split Jerusalem, giving the Palestinians a state. This is what he said he saw. Now that’s a pretty wide split there in the middle. That’s all water. I don’t think it’s gonna be that bad, but nevertheless that’s what he was shown. 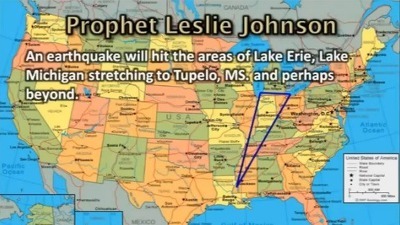 Then Prophet Leslie right here in this church. We used to have a big map taped right over there. The United States map over there and then a world map taped over here. 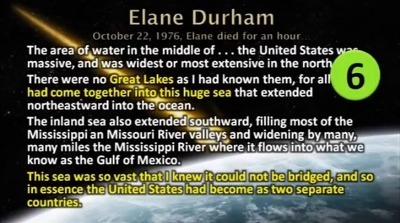 One morning she was praying over that map and all of a sudden a vision started and God showed her that the Great Lakes are gonna open up down to Tupelo, Mississipi and she wasn’t certain, but she said it might have been all the way to the Gulf of Mexico. So, that’s the fifth person. 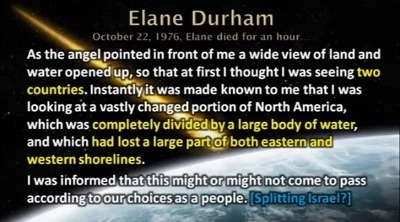 Elane Durham, October 22 of 1976, died for an hour and had an out of body experience as several speakers at the Prophecy Club have. Here’s the problem. Will Israel be split? I’ll show you the verse. Wow, so that’s the sixth person that has seen America split. Do we have enough evidence to say that God has spoken? I believe we do. And Augusto Perez and Elane Durham. Previous article16 FUTURE ( Prophetic ) MAPS- Which Ones Are From God?